2018-19 AHL Season Tickets Available! 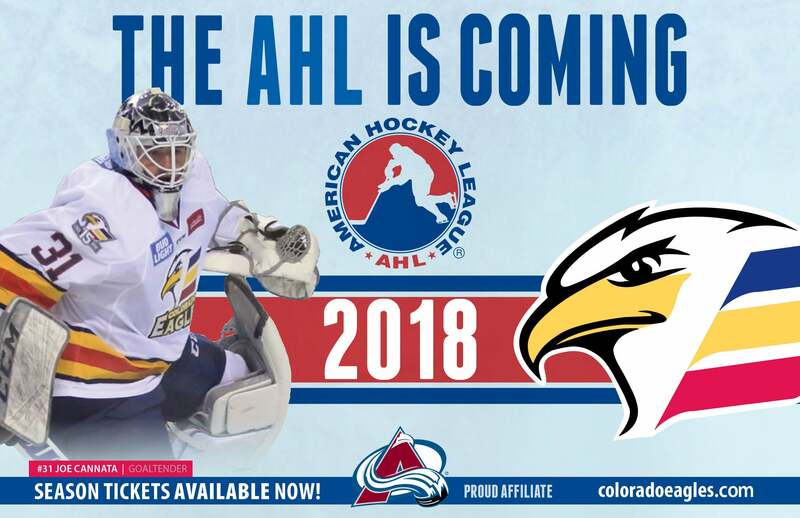 2018-19 Colorado Eagles Season tickets are avaialble and on sale now for their Inaugural American Hockey League season! Get the best seats for the best price with Colorado Eagles Season Tickets. Experience some of the best up and coming players hockey has to offer. The American Hockey League is the premier developmental league for the NHL. Enjoy the rich tradition of Eagles Hockey and secure your seat to every Colorado Eagles home game by placing a $100 per seat deposit today! You won’t want to miss a single minute of Colorado Eagles Hockey! To place your deposit call the Colorado Eagles Ticket Office at 970-686-SHOT (7468) or request more information!